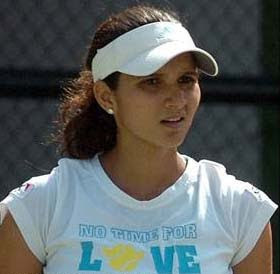 Sania Mirza hasn't had the best of starts to the 2010 season - on and off court. Earlier in the week, the 23-year-old's father Imran, who coaches Sania and manages her career, called off his daughter's engagement to Mohammed Sohrab Mirza. Sania was formally engaged to the fellow Hyderabadi and longtime friend, now studying business in the United Kingdom, last July. The Indian star categorically refused to get into the why and what of the matter, but confirmed her engagement was off. "We were friends for half a decade, but found ourselves incompatible during our engagement period. I wish Sohrab the best in life," she said. Even before the two got engaged, questions were doing the rounds about whether Mohammed could cope with the demands of being life-partner to a widely-travelled, hugely-popular athlete. Sania, who has been struggling with the differences for the last couple of months, hasn't taken the break-up well as her results on court show. However, she's doing what she always does at a time of crisis - surround herself with family and friends. As it stands, Sania will have to turn her focus to the courts, and in time might find comfort there. She flies out to Kuala Lumpur late on Friday, where she leads India's challenge in the Fed Cup Asia Oceania Group II competition, starting February 2. Sania Mirza earlier this month had revealed that she will hang up her racquet after getting married. 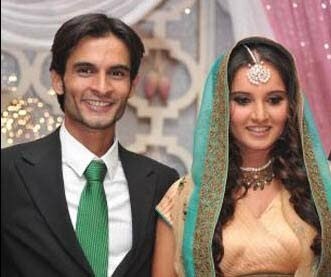 Before getting engaged to the Indian tennis diva, Sohrab had said that Sania will have complete freedom in making her career decisions. "She has my complete support and backing in whatever she wishes. It is completely her decision for how long she wishes to play," Sohrab had said.